A beautifully assembled kit is always enhanced by the presence of a well-painted figurine. 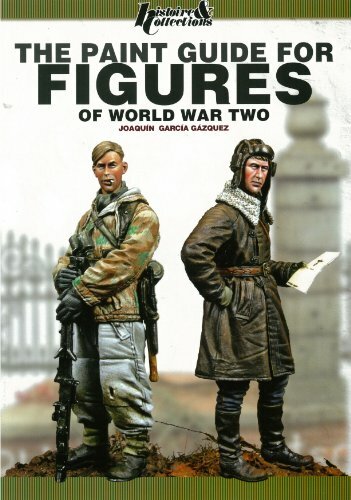 This statement has become a profession of faith for the author of this book, Joaquin Garcia Guazquez, one of the world's armoured modelling elite; here he has chosen to give us the benefit of his experience painting figurines from WWII, the supreme period for military modelling. Very instructively, using a lot of photographs, and step by step he explains how to paint a successful figurine, from the choice of tools, from the work area to the preparation of the figurine, painting the flesh parts, the uniforms and the accessories, etc. This is required reading, intended to guide you and inspire you when painting figurines to go with your next armoured vehicle or action-packed scene. THIS BOOK IS IN ENGLISH.